Men’s black graphic sweatshirt from Versace Collection. 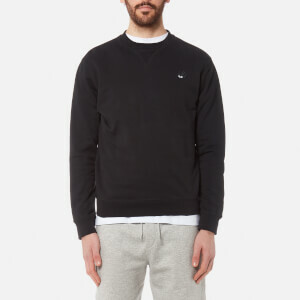 Crafted from soft cotton fleece, the sweatshirt is detailed with a tonal circle logo on the front with a rubberised finish. Complete with a signature half medusa head logo tab on the hem and a ribbed crew neck, hem and cuffs.